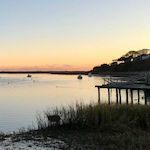 Some of you may already know the bizarre tale of the National Park Service’s misguided efforts to shut down the Drake’s Bay Oyster Farm, or may have read my earlier post about it. Well, 2012 is almost here, and things are coming to a head. Here is an excellent summary of everything that has taken place. Read it, and you will discover that the National Park Service is an incredibly creepy entity. You will also learn how craven the Sierra Club is, and vow to never give them a dime again. 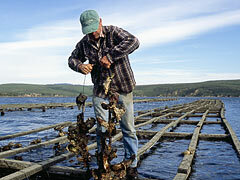 And, hopefully, you’ll also join the fight to save a national treasure–the Drake’s Bay Oyster. You have until December 9 to comment on the Draft EIS here. Kevin and I send you our heartfelt gratitude (on this eve of Thanksgiving, no less!) for staying with us through these years. If not for folks such as you “committing truth” and speaking out, we would have thrown in the oyster knife years ago. You lift us up and give us strength to carry on. Whoa! This sounds like an overbearing governmental move to me. I’ll raise my voice and hand in opposition.